Mad filmmaker Werner Herzog may have conjured up a whole new genre when he directed his 3D art-house documentary Cave of Forgotten Dreams. That film—combining ancient cave art with eye-popping 3D technology—became an award-winning hit. 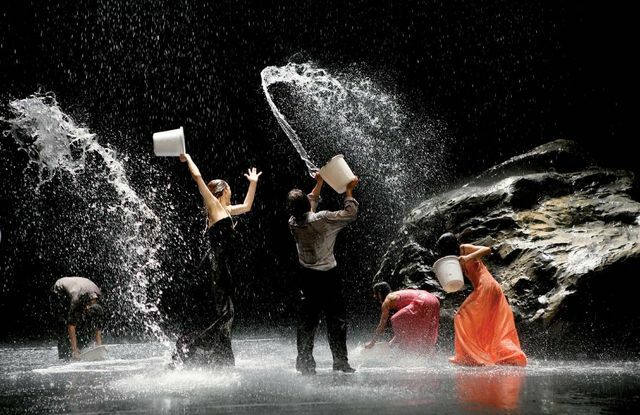 Now, fellow German auteur Wim Wenders (Wings of Desire, Until the End of the World) has followed suit, creating a 3D documentary about avant garde dance choreographer Pina Bausch. Apparently we are not, as a nation, over that whole “found footage” thing. Obviously, after the chart-topping release of the theatrical superhero flick Chronicle and the successful debut of the jungle-clad horror series “The River,” America is still perfectly happy to watch handheld shaky-cam footage of stuff they can’t quite see happening. From The Blair Witch Project to Cloverfield to Apollo 18 to The Devil Inside, Hollywood has worked long and hard to turn “shot-on-video faux documentary” into a genre—mostly because it costs next to nothing to make. Spells, a low-budget romantic comedy shooting in Santa Fe starting mid-March, is looking for two featured roles. Producers need an “intelligent” female, aged 20 to 30, and a “handsome” male, 20 to 35. Both must be good at comedy. This film is being made under a low-budget SAG contract. Both SAG and non-SAG actors will be considered. The shoot is expected to last two weeks. To sign up for an audition, please submit photos and résumés electronically to daid@cybermesa.com.